​As your brewery gets older​ and you create some outstanding products that you want to be able to savor down the line, stashing some product to create a vintage line may be something to think of. 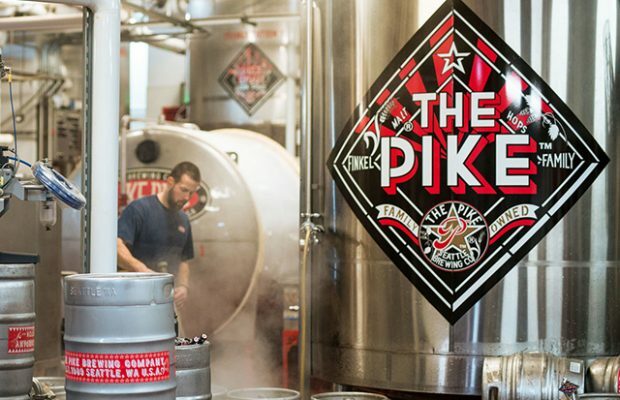 Pike Brewing, who has been going at it for 30-some years now, created Old Bawdy Barleywine as far back as 1991 and discontinued it after a batch was made in 1997. The Seattle brewery reintroduced it in 2006. Vintages regularly win medals at national beer tasting competitions. This year, the brewery announced that it would release 12 vintages of Old Bawdy. With a selection spanning decades, Pike Old Bawdy is beer history in a bottle. ​The initial notes say it is dark mahogany in color with a rich, sweet complexity​. Younger vintages of Old Bawdy boast heady herbal aromas, while older vintages have developed characteristics like port and amaro. ​Starting with 1997 bottles and jumping to each selection since 2006 — including bottles and draft from 2012 through 2016 — Pike has been able to give specific tasting notes. The 1997 bottle has notes of fig and amaro while a 2011 bottle gives off black tea or plum flavors. Pike’s Stasia Brewczynski said an added bonus​ that Pike got for its customers​ is that during the QC process, ​Pike was able to create tasting notes to better help ​its ​customers identify the best vintage for ​each palate.